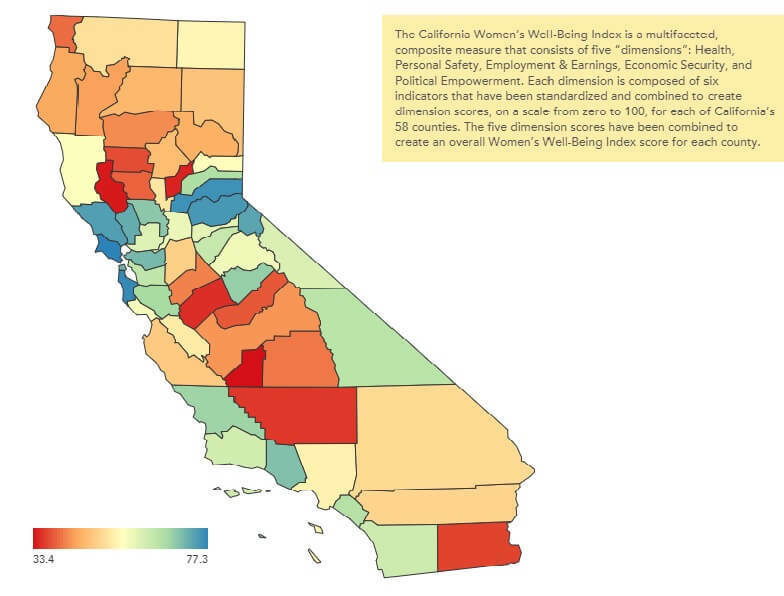 The California Women’s Well-Being Index is a multifaceted, composite measure that consists of five “dimensions”: Health, Personal Safety, Employment & Earnings, Economic Security, and Political Empowerment. Each dimension is composed of six indicators that have been standardized and combined to create dimension scores, on a scale from zero to 100, for each of California’s 58 counties. The five dimension scores have been combined to create an overall Women’s Well-Being Index score for each county.